Why Sparks When Plugging Into An Outlet: Is It Serious? 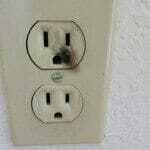 Should you be concerned about getting shocked or a fire when you see sparks when plugging into an outlet? 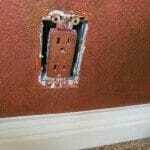 Older homes often have un-grounded outlets, or an outlet may be miss wired. Grounding provides exterior protection from shock, but there are some easy fixes. 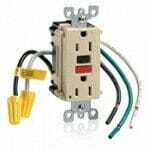 Interior decorators and home owners occasionally paint outlets to make a home beautiful. Occasionally this creates a hazardous condition. Do you know the difference between AFCI and GFCI? This could save your life!